I know that becoming fluent in French may seem like an unachievable feat. You don’t know where to start or you slave away at seemingly senseless exercises with no hope of French fluency in sight. There are concepts which still confuse you and you have trouble holding conversations. I’ve experienced the pains of learning French but I also learned valuable things along the way. I want you to have realistic expectations about your French and a REALISTIC way to attain it. I’m not offering some “get fluent quick” scheme and I’m certainly not diluting the definition of fluency (which is what other language-learning “gurus” try to do). You’ll discover a few tips & tricks to help make learning French a bit simpler. These are things I wish I knew before I started learning French as a second language. You can discover personal accounts about how a I managed to make friends and live in France! Get your copy delivered to your favorite eBook reader! The most striking thing about Elkhoury’s writing style is the conversational tone of the book; in a short number of pages, he succeeded in drawing me in and delivering advice without sounding preachy or condescending. His personal stories were relevant and humorous, and he has a wealth of experience from studying abroad and living in France for an extended period of time. There really is no secret formula to learning any foreign language, however this book explain[s] in detail the essential steps to mastery. A very enjoyable read and well worth the money! Fluent in French NOW tries to help you become more efficient with your time by guiding you towards better techniques. I’ll share the essentials to learning a language and stuff I wish I knew before starting to learn French. Void of vocabulary lists or practice exercises, if that’s what you seek then there are plenty of other great resources out there. I’m John Elkhoury, the author of Fluent in French NOW. I’m also the founder of FrenchCrazy.com, a website that has spanned the globe millions of times! It’s great to see the French language gain some traction. I want you to know that no, I’m not French. I’m an American with family that lives in France, but I had to learn the language in a manner similar to you – AS A SECOND LANGUAGE. 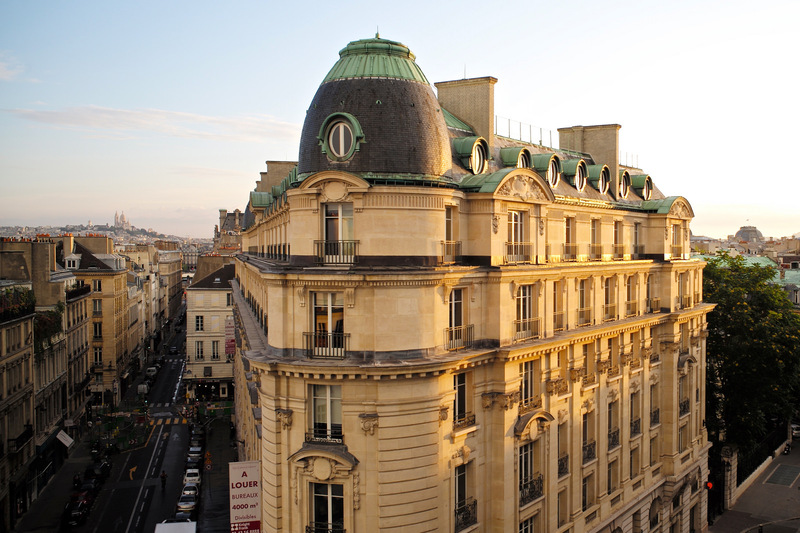 After having mastered the French language, I’ve worked in France on three separate occasions. I made countless friends, rented my own apartment, and even dated people. In mid-2011, I honestly felt as though I was living the life of a French person. I felt as though my time in France had purpose and that’s when I realized that learning French was one of the best decisions I’ve ever made. Through my time learning French, I picked up on a few shortcuts and skills that English speakers can use to help themselves up. Many native French speakers can’t share this advice because they learned French in school since birth. So how can they relate to you as a second language learner of French? That’s what makes Fluent in French NOW even more unique! If you’re learning French now with little success or plan on learning French – then yes. 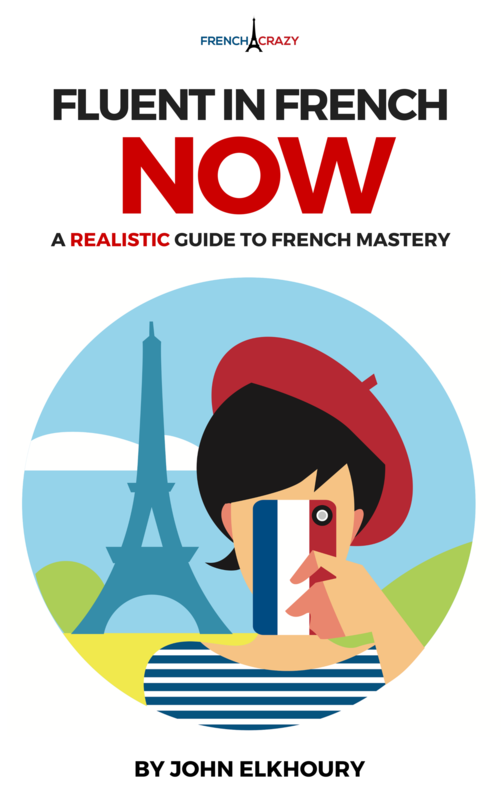 If you already have a good handling of French then I would not recommend this book for you? The book is roughly 20,000 words and is the length of a novella. It would take a few hours to read through. Is there a physical copy? Currently we only offer an eBook & a PDF download. I have nothing against people who enjoy reading physical copies of books, however a physical copy costs more money to produce and in turn will raise the price point of the book. I would like to keep this content at a price below $5 USD to help make it available to all. All payments handled through Amazon are secure, however you’ll need an Amazon account to complete the transaction. All payments handled on FrenchCrazy are 100% secure and processed by Stripe. Stripe manages online transactions for large, reputable companies. Your information is protected with SSL encryption on our website. FrenchCrazy does not handle or receive your credit card credentials, as with all online transactions. Will I like this guide? Well if you’ve seen my free content on this website then you’ll enjoy this book – hands down. I put my heart and soul into everything that I do here at FrenchCrazy, so you’re in good hands. Why pay for this guide? Fluent in French now is a premium solution offered by FrenchCrazy.com. It has some great information and so I’m only willing to share it with those who are dedicated enough to really start advancing their French. People blindly throw hundreds towards language learning software, college courses, and language instruction abroad. Heck, one hour of tutoring costs more than this book, I know, I’m both a French tutor and an English tutor. Test the waters first and get this guide to help you out. Feel free to get in touch if you still have any questions at john@frenchcrazy.com. Consider Fluent in French Now as your manual. Let it be a training guide. Together, you can find fluency or help you get around during your next vacation in France. The principles within the book helped me perfect the French language and I’m sure they can help you too. Get your PDF copy delivered right to your computer!